Richard Price’s relationship with television has always been complicated, even before he worked in the medium himself. His writing style, especially early on in his career, was influenced by TV’s ADD immediacy: “My writing is a product of being a tube child,” he wrote in a 1976 Village Voice op-ed, “and is geared towards other tube children, at least stylistically.” But on the other hand, he’s always seemed to hold the form in low regard, from the narrator of 1978’s Ladies’ Man maintaining that “everything… on TV… [is] geared for mental defectives” to the protagonist of 2003’s Samaritan wrestling with whether or not to take a “dopey” TV writing gig. Price considers screenwriting “superficial” compared to writing novels, so it makes sense that he’d be even leerier of cinema’s traditionally dumber relation. Unfortunately, Price didn’t pull that off. But you can tell that he tried, despite his supposedly mercenary motivations. 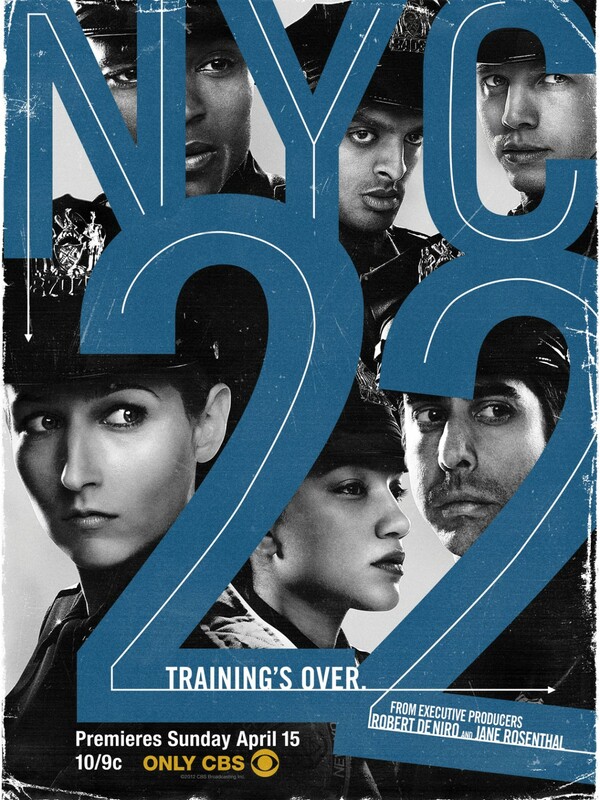 NYC 22 (pronounced “two-two”), which aired for thirteen episodes in 2012 before being cancelled after one season, concerns the misadventures of six rookie cops serving in Harlem. Although there are recurring storylines, most episodes are fairly self-contained, following the rookies (usually separated into a variety of pairings) as they struggle to stay on top of the shenanigans and crises that are constantly popping up on their beat. The problem is that those positive characteristics exist mostly on the level of broad strokes. In terms of execution, NYC 22 feels very much like a network show. The lead actors are skilled but implausibly model-pretty. The musical score is bland and overbearingly omnipresent. The storylines, though often based on intriguing premises, are blown up to crazily exaggerated proportions (the hostage situation in the pilot, the bar heist/shootout in “Crossing the Rubicon”) and almost always wrapped up with neat and morally satisfying conclusions by the end of the hour. I assume that this stuff is mainly due to mandates and interference from CBS, not just because I’m a fan of Price but also because these flaws run counter to his usual habits as a writer. His narratives tend to be shaggy in their indulgence of characters and environmental atmosphere; “none of my books historically has been tightly plotted,” he admits. So the fact that this series adheres pretty slavishly to A-plot-B-plot/three-act structure indicates that he probably didn’t have carte blanche creative control. The show’s obscurity means that there isn’t much behind-the-scenes info available, but Price does say in this New York Times article that “What I didn’t want is a show where everybody is a hero every two seconds, and shots are fired every three seconds. I try as much as I can, given the mandates of a major network, to keep it quiet. And it’s not easy.” And there is some hard evidence that CBS wasn’t too concerned with NYC 22‘s narrative integrity: They aired the episodes out of order, leaving viewers to wonder why the characters never seemed to mention whatever romantic shakeups or traumatic near-death experiences had occurred the week before. 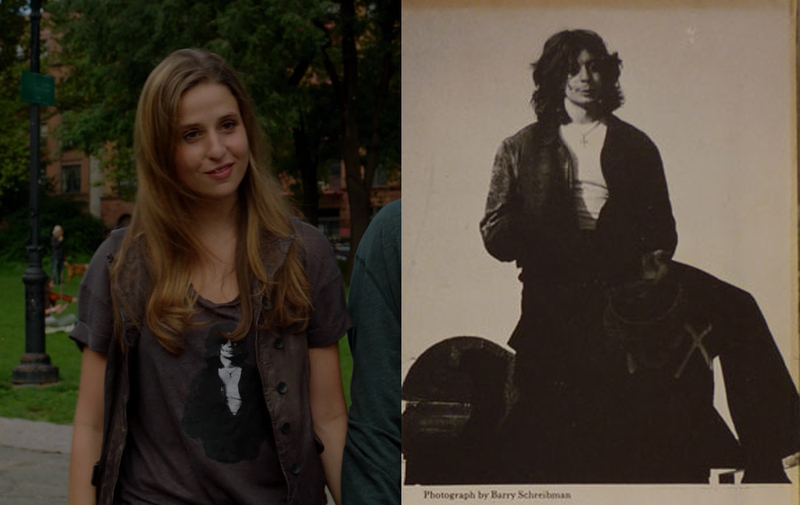 Those Richard Price trappings don’t compensate for the lack of Richard Price style, though. NYC 22 isn’t a terrible show, but it’s compromised in the most fatal way: Not pulpy enough to work as disposable amusement, but not nuanced or innovative enough to satisfy people looking for something more substantive. In the end, the best thing about it is that it presumably did, in fact, earn Price some big paychecks. He deserves the money, just not because of this. 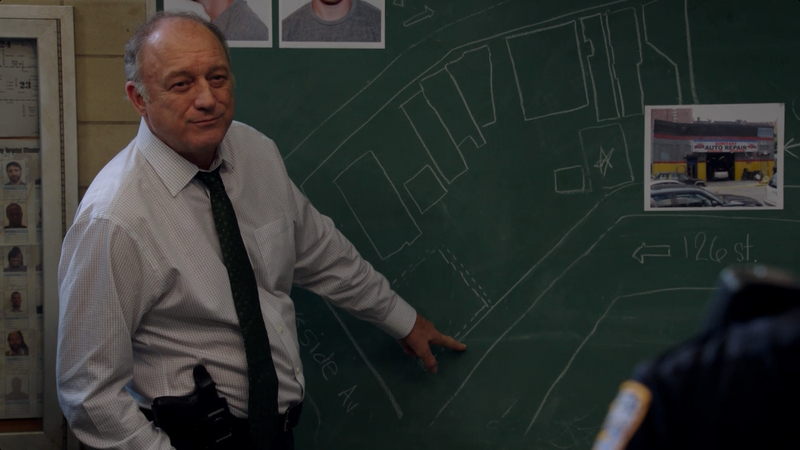 • Fans of The Wire will recognize a few of the guest performers in this show’s cast, including John Doman (The Wire‘s Bill Rawls, a character similar to the one he plays here) and Michael Kostroff (The Wire‘s Maury Levy). • NYC 22 features the latest (but probably not last) use of Price’s trademark line “Guy wiggles his fingers and five people die in Oklahoma,” phrased here as “Guy would wiggle five fingers on 111th, and five people would die on 145th.” Variations on that line have so far shown up in Clockers, Night and the City, Shaft, Lush Life and even Price’s DVD commentary for The Wire. • An interview David Simon did with The New York Times as part of this show’s promotional push ended up spawning a ton of chatter about how we consume TV and indirectly inspired Simon to start his own blog in order to communicate more directly with his audience. • Judging from the excerpt posted online, Price’s new novel The Whites may present a relatively unrestrained exploration of some of the themes and subject matter covered here. And speaking of The Whites, yesterday brought yet another positive review, this one from The New York Times‘ Michiko Kakutani. Next week: Richard Price’s new novel The Whites hits shelves, and this blog comes to an end. This entry was posted in Television and tagged cbs, cops, drama, police, richard price, television, tv. Bookmark the permalink.